Bottom Line: The risk of invasive breast cancer is increased in postmenopausal women with a normal body mass index (BMI) but higher levels of body fat, meaning that a large portion of the population has an unrecognized risk of developing cancer. In addition, a lower level of physical activity was found in women with a normal BMI and higher amounts of body fat. These findings suggest that having a normal BMI can provide false reassurance regarding the risk of breast cancer associated with body fat, and they also highlight the potential role of physical activity and exercise even in those who are at a normal weight. 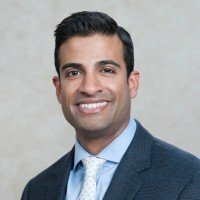 What: Data presented by Neil Iyengar, MD, a medical oncologist at Memorial Sloan Kettering Cancer Center, at the American Association for Cancer Research Special Conference Obesity and Cancer: Mechanisms Underlying Etiology and Outcomes, held January 27 through 30 in Austin. Background: Obesity is currently recognized as a leading modifiable cause of several types of cancers, including estrogen receptor (ER)-positive breast cancer in postmenopausal women. In addition, obese individuals are likely to develop metabolic illnesses — such as diabetes or high blood pressure or cholesterol levels — which can lead to an increased risk of heart disease and death. However, the current way we define obesity may not be accurate. Individual health recommendations are typically based on BMI, a ratio of height to weight that is widely used to estimate body-fat levels. While convenient, this method is an inexact way to measure whole-body-fat levels, muscle mass, and bone density. A normal BMI falls between 18.5 to 25 kilograms per square meter. While obesity (defined as a BMI greater or equal to 30) is associated with an increased risk of ER-positive breast cancer in postmenopausal women, it was previously unknown whether body-fat levels contribute to breast cancer risk in individuals with a normal BMI. Dual energy x-ray absorptiometry (DXA) is a technology that can specifically quantify fat content, resulting in a more accurate assessment of total body-fat levels. Method and Findings: The investigators analyzed data from the Women’s Health Initiative, an observational study that follows the health of postmenopausal women ages 50 to 79. The study included participants who had a normal BMI with baseline DXA measurements and no history of breast cancer. During the median of 16 years of follow-up, study participants were assessed for the development of invasive breast cancer. Of the 3,460 participants in the study, 182 developed invasive breast cancer during the follow-up period, and 146 of these cases were ER-positive. In multivariate analysis, compared with women in the lowest quartile of whole-body-fat mass, women in the highest quartile of whole-body-fat mass had approximately double the risk for ER-positive breast cancer. In addition, it was found that the risk of ER-positive breast cancer increased by 35 percent for each 5 kilogram increase in whole-body fat, despite having a normal BMI. It was also notable that the level of physical activity was lower in women with higher amounts of body fat. In summary, in postmenopausal women with a normal BMI, high body-fat levels were associated with an elevated risk of ER-positive breast cancer and altered levels of circulating metabolic and inflammatory factors in the blood. These findings also suggest that physical activity may be important even for those who are not obese or overweight.